Enjoy warm South Texas weather at one of the best RV Parks In Corpus Christi. The RV Park of Corpus Christi is conveniently located near many area attractions such as the Whataburger Field home of the Corpus Christi Hooks, Area sites include our Aquarium, Area Beaches, and the American Bank Plaza, Corpus Christi National Seashore on Padre Island Texas. So come for the baseball, shopping, entertainment and events, and the best fishing in South Texas. 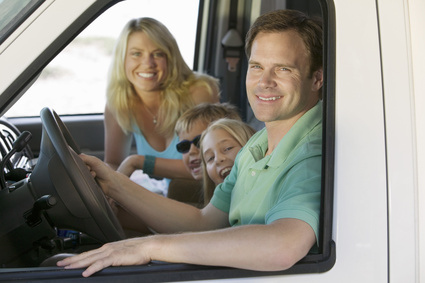 Stay with us for the best affordable prices in Texas RV Parks, and the friendliest staff on The Gulf Cost. The RV Park of Corpus Christi is also filled with its own attractions such as numerous shade trees, picnic areas, an onsite laundry mat and many varieties of birds and other wildlife that visit the area. After a day of driving, going to the beach, or fishing in Corpus Christi Bay or The Gulf of Mexico, sightseeing or shopping, return to relax in our NEW saline pool. So whether your stay is a night, week or a month, you will be pleased with your spacious, level site and our clean park. The RV Park of Corpus Christi's friendly and helpful staff is on hand to help make your stay a memorable one. We have the perfect location just far enough off the highway for a quiet peacful nights sleep, and each lot comes with prewired Cable TV and Wireless Internet to make you fell like your new home away from home. Other onsite features include 12 new video surveillance cameras around the park with night vision. All recordings are kept by the RV Park off-site for your safety. We have also put up multiple light posts around the property to give you some extra light at night. Here at the RV Park of Corpus Christi, your safety is very important to us and we want your stay with us to be comfortable. Be sure to check in with the RV Park of Corpus Christi to find out what specials we have going on for you. Because of the demand, we are adding fifteen new spaces. We are also in planing for a new shower house, kitchen, and picnic area. Here are some events going on this month around the Corpus Christi area.